Paying by cheque is preferred. 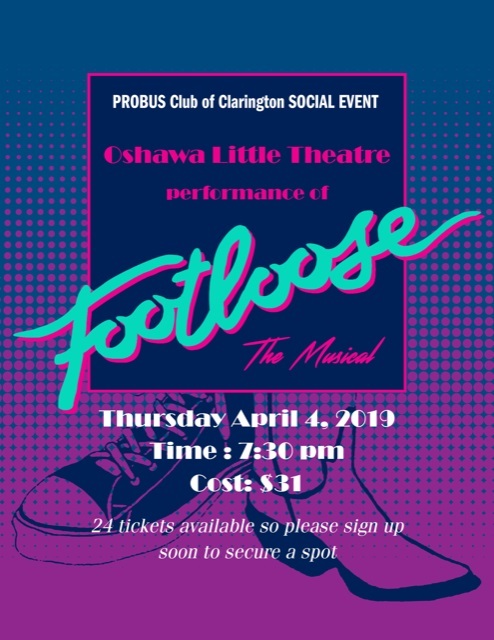 Cheques should be made payable to Probus Club of Clarington. Please have your cheque ready before lining up for sign up at the meetings. Planes, Trains & Automobiles. A one hour tour to hear the amazing history and see restored and replicas of various antique automobiles, war planes, a locomotive and more. Guys and Dolls, hailed as the perfect musical comedy, this award-winning classic gambles with luck and love under the bright lights of Broadway . ​ A durham region tour of beautiful gardens showcasing local artists and musicians. Enjoy an evening of dinner and dancing with a live band, The Lincolnaires.